Vitamins are highly important nutrients that your body receives from various foods. Vitamin B-12 is one of the 13 highly essential vitamins the body requires for performing all functions smoothly. Failing to get vitamin support the body then starts giving out signs and symptoms that could lead to physical and mental breakdown if not treated soon. Vitamin B-12 deficiencies soon give rise to vision problems, slowed digestion and mental problems to name a few. Vitamin B-12 deficiency can be treated by regular testing. 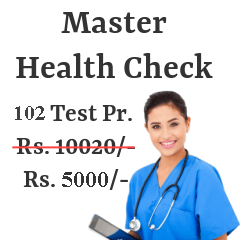 Tests for the same are available at health facilities in Chennai. Rates of Vitamin B-12 tests are as mentioned ahead. Read on to get information about medical centers most accessible to you. Following are the Vitamin B-12 Test centers from most reputed pathology / radiology labs in Chennai. A generic blood test is ordered by a doctor for getting results of how severe vitamin B12 deficiency a person has. A small amount of blood is taken out from finger tip or vein in the arm for sampling. The doctor consultation ahead when results are ready gives the patient an understanding into the level of vitamin deficiency in their body. Vitamin B-12 levels below 150 pg/mL are considered as low; 200 to 600 pg/mL are considered as normal and 800 pg/mL are high. People with lower levels of Vitamin B12 are at higher risk of suffering from damage to brain cells and nervous system injuries. Whereas higher levels of this vitamin also spell dangers as that may put you at a risk of acquiring cancer. Thus trying to keep your vitamin B12 levels near the permissible number is important. As this vitamin helps in fighting depression, megaloblastic anemia, multiplication of red blood cells and metabolism. 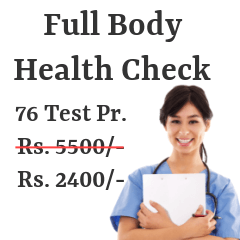 Symptoms like diarrhea, menstrual problems, fatigue, loss of appetite, loss of balance, a pale skin, muscle weakness,irregular heartbeats, forgetfulness, increased heart rate, burning sensation in hands and feet could spell vitamin B12 deficiency and hence the need to undergo testing for vitamin B-12 deficiency. Fortified soymilk, pork, eggs, lamb meat, beef, haddock, poultry, yogurt and several other foods are rich sources of Vitamin B-12. People who abstain from the above mentioned non-vegetarian foods are mostly deprived of this vitamin. Such people can receive vitamin B-12 through breakfast cereals, drug supplements and nasal sprays available at chemists. It is important to enlighten people about the medical infrastructure in their city available to them for fulfilling their health needs. This page has information of diagnostic centers and hospitals with their rate-list and address details for vitamin B-12 testing. If this deficiency is left untreated it may lead to dementia in people in the long run. 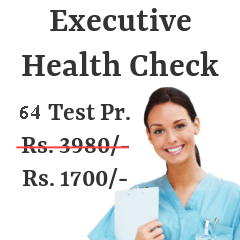 So, browse through this page and get help in making a well-informed decision based on your requirements and budget for you and your loved ones health.